Majestical Jewelry: Styles That Fit Any Taste Or Budget! Looking for some fashionable and stylish jewelry to add the finishing touch to your wardrobe? Well look no further... as today I introduce Majestical Jewelry! 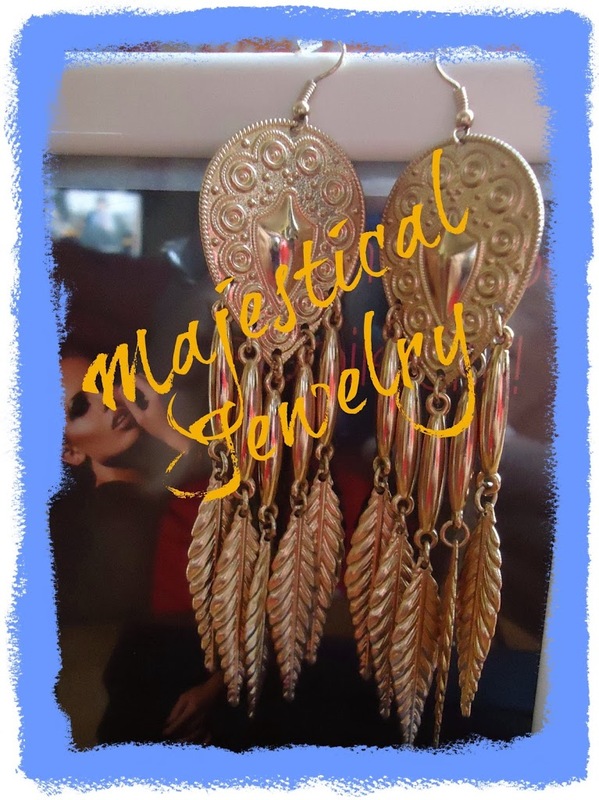 Majestical is an online jewelry boutique offering premium authentic jewelry of the highest quality with styles to to fit every taste or budget. They recently sent me a pair of the "What An Earring" from their fashion line, and since, I've been rocking the heck out of these babies! These beautiful gold dangle earrings - with textured detailing, long beads and textured hanging feather shapes - brought some effortless chicness that perked up my winter look. The earrings are light in weight, which is a plus as I hate heavy pieces that pull on my ears. Don't I look beautiful and Majestical? Majestical's product line includes authentic silver, fashion, gemstone, and pearl jewelry for women across the baord. Their beautiful charms are compatible with top brands such as Pandora, Chamilia, Biagi, Trollbeads and Persona. They provide a free gift pack (a signature blue gift box and a silk pouch for an added touch) in each other, which works for gifting, as well as for safely storing jewelry. Be sure to go on over and find the right piece for that special outfit. All orders $49.99 and more ship for free, and same day shipping is also available. If you are still worried about whether you will be satisfied, no need, as they offer no hassle returns and exchanges, as well as a money back guarantee.